At first there’s a low rumble. Accelerating quickly it becomes that sadly missed signature run up the Hammond keys. The flourishing flow of notes escalates and builds into a crescendo and the band joins in. Back at the Chicken Shack is the opening track and we’re obviously in warm and friendly bluesrock territory here. Bubbly, tight and unpretentious. Jon Lord and his Hammond performing a selection of blues covers with a few friends. 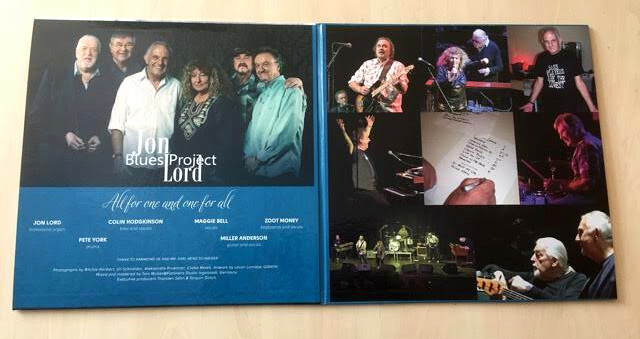 This was the winning concept of Jon Lord Blues Project as it unfolded in late 2010 and early 2011. Intended as a vehicle for Jon to get out and flex his Hammond muscles under less formal circumstances than his ever growing list of ambitious and captivating orchestral concerts around the world, the name of the band grew out of the simple fact that tickets needed to be sold and Jon’s name remained the most popular among the A list of band members involved. 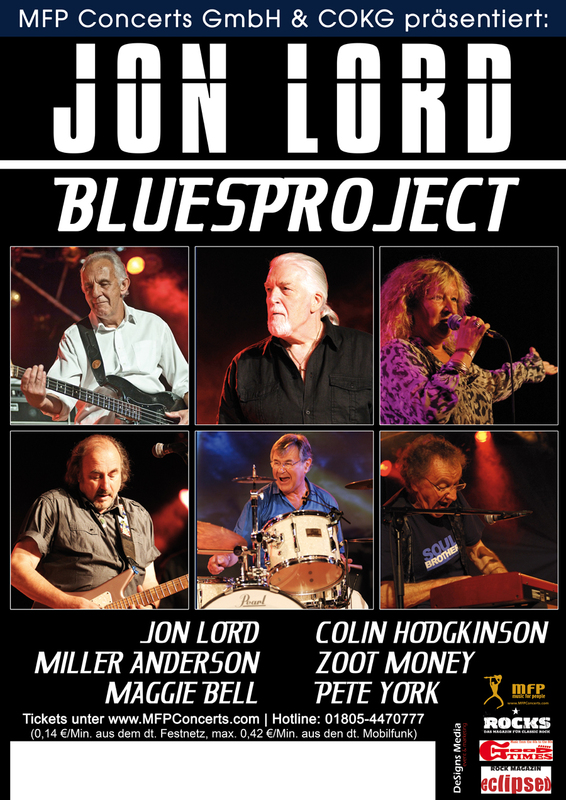 Jon Lord Blues Project was that seldom beast where a few old and extremely capable friends decide to get together with no other objectives than to play. Sadly, the band only managed seven concerts in all. A further 11 shows were booked for November 2011, but Jon’s tragic pancreatic cancer diagnosis put everything on hold. In the end, Brian Auger agreed to step in and save a handful of the shows – with Jon Lord’s full blessing. This live album was recorded on May 14, 2011 at the International Jazz Festival in Rottweil, Germany. This was only the band’s sixth concert but you wouldn’t know from the energy and musical finesse on display. Earlier in their careers, all the band members had played together under various guises and were invited together for this project. Perhaps most prominently, guitarist and singer Miller Anderson sang on both Jon’s masterful Pictured Within album and on Beyond the Notes. Colin Hodgkinson played bass in Whitesnake for a while, and together with drummer Pete York was also part of the Olympic Rock & Blues Circus, that Jon played a few shows with in 1982. But Pete York’s history with Jon was much longer. York played on several projects with Jon, not in the least Jon’s 1976 masterpiece Sarabande as well as Windows and the studio recording of Gemini Suite. Maggie Bell first played with Jon when he joined her band – along with Ian Paice – for a special one-off show at London’s Royal Albert Hall in 1977. Here it is her weathered, mature voice that carries Free’s Wishing Well authoritatively. Zoot Money is the other keyboard player in the blues project. In the 1980s, he was part of Endangered Species with Jon and Tony Ashton and he handles Hammond as well as other keyboards and vocals. Miller Anderson delivers a couple of his own songs with humble gusto, and otherwise it’s classics and covers galore. Respect Yourself features Hush-type percussive Hammond, and the band’s cover of Deep Purple‘s Lazy is one of the highlights of the concert. Prepare yourself for a very different approach – a reinterpretation rather than a simple cover. Another Purple classic, When A Blind Man Cries, is offered here in a beautiful rendition complete with emotional vocals from Anderson and a gorgeous Hammond solo from Jon. I’m A Man evolves into a Hammond groove fest together with Pete York who then takes a drum solo. In fact, this band thrived on solos. Most songs feature one or more solos and invariably they’re inspired and imaginative. 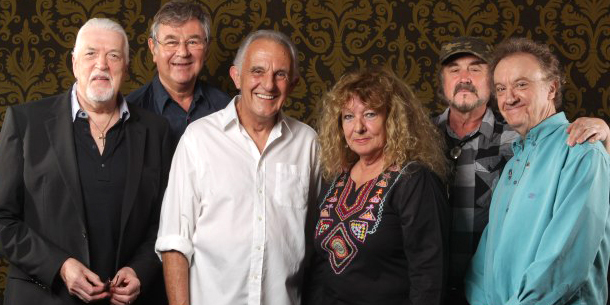 Vocally, Jon Lord Blues Project featured no less than four lead singers, each with their own unique style; Miller Anderson, whose well worn voice suited Jon’s Pictured Within so well (along with a couple of other songs) shares most lead vocal duties with Maggie Bell and her female swagger, while Colin Hodgkinson and Zoot Money each tackle individual songs. At the end, this formidable display of experience and musicianship leaves you with a smiling face and the impression of a band out for a good time with a friendly audience invited along. The vinyl presentation is luxurious in thick cardboard gatefold sleeve designed with onstage and backstage photos and an 8-page fold-out inlay with biographies, photos and notes. The vinyl pressing itself quality is pristine, so much so that with headphones on, you feel like the audience reaction happens around you without obscuring the music. All in all, so much care has gone into the attractive presentation here that we’ll forgive the sleeve design failing to indicate how the songs are spread across the four sides of unnumbered vinyl. CD edition has sadly sold out.